Are you ready to stop feeling overwhelmed and stressed all of the time? You're smart, determined, driven, and creative. You've worked really hard to get here. You're used to being able to find or create answers. Right now, you can't. What used to work isn't helping anymore. You’re scared of losing everything you've worked for, but you know that you're not happy with this version of your life any more. We work with driven, high achieving teens and adults struggling with anxiety and OCD. We give you tools and techniques to regain your freedom and control over your thoughts, feelings, and life. You'll make better decisions, get clear on your needs, and take better care of yourself. You won't need to make yourself feel better with alcohol, food, shopping, mindless hours on-line, or hurtful relationships. Instead, you'll treat yourself like you matter. You'll get really clear on what you want out of life and the steps you need to take to get there. As a result, you'll feel better, sleep better, be a better friend, have less tension at home, perform better at work/school, and continue to achieve. Seek out the best guidance to build the life you want. Bucks County Anxiety Center was founded and is directed by Dr. Ronit Levy. 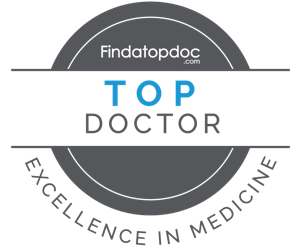 Dr. Levy was named one of the top clinical psychologists in Pennsylvania in 2018 by Top Doctor Awards for her expertise in the field of anxiety and OCD. We've helped people get the promotions, friendships, marriages, families, health, and financial security they want and deserve. Click here to learn about Dr. Levy and our highly trained therapists. Our focus and expertise in one area are why we can help you get the results you want. We’re experts in cutting-edge, science-backed Cognitive Behavioral Therapy (CBT) for teens and adults struggling with anxiety due to Anxiety Disorders, ADHD, OCD, chronic illness, and stressful life events (work, school, relationships). We're the only practice in the area to have a specialty in OCD and offer intensive exposure therapy. Click here to learn about how our unique approach is the key to your success. There are lots of ways we can work together. Appointments are available in our Newtown, PA, office. We offer phone and virtual sessions for people who do not live near us, are away at school, or prefer the privacy and convenience of this approach. Click here to learn more about our virtual sessions. We also provide workshops, webinars, and coaching to help you be healthy and successful. When you’re ready to start working toward a better life, contact us to set up an appointment.